A BING search will tell you a far bit about Dorsey High. Susan Miller Dorsey High School is a high school located in Los Angeles, California. Dorsey is a part of the Los Angeles Unified School District. The school serves Baldwin Hills, Baldwin Village, Jefferson Park, Leimert Park, and portions of Crenshaw & West Adams. Dorsey High School serves a 98% population of African American and Hispanic students with females representing 60% of the population. A scan of the website will tell you about the commitment the school makes for students to be career ready and college ready. But a walk and talk with the inspiring Daphne Bradford will really help you to understand the passion to drive excellence at Dorsey. 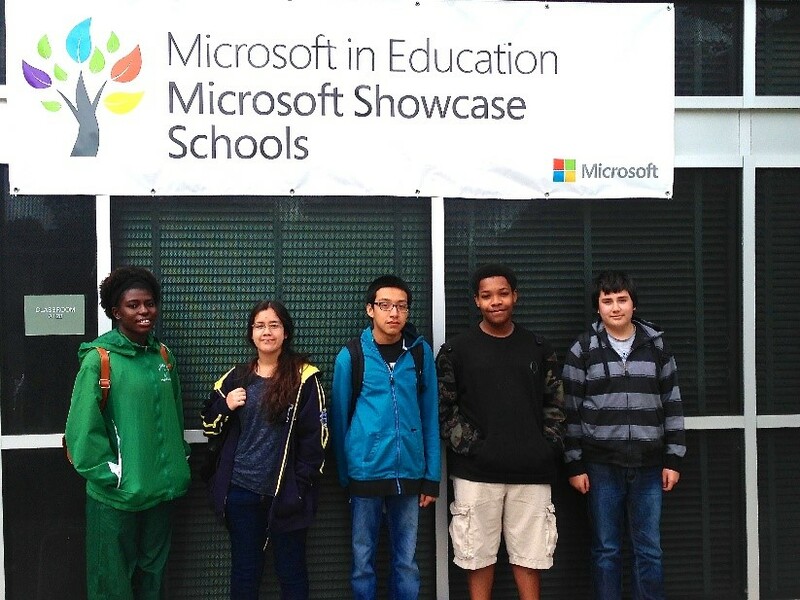 Dorsey High School has had recent accelerated success with coding as learning. After struggling to attract and retain students in the Math and Science Magnet Academy, Daphne Bradford, a consulting education leader was recruited by the school’s principal, Dr. Reginald Sample. Daphne works between Crenshaw and Dorsey high schools. Crenshaw is a nearby secondary education campus where the non-profit she established, Mother Of Many, is the managing partner of the Crenshaw high school garden and is responsible for the food science and botanical engineering initiatives. 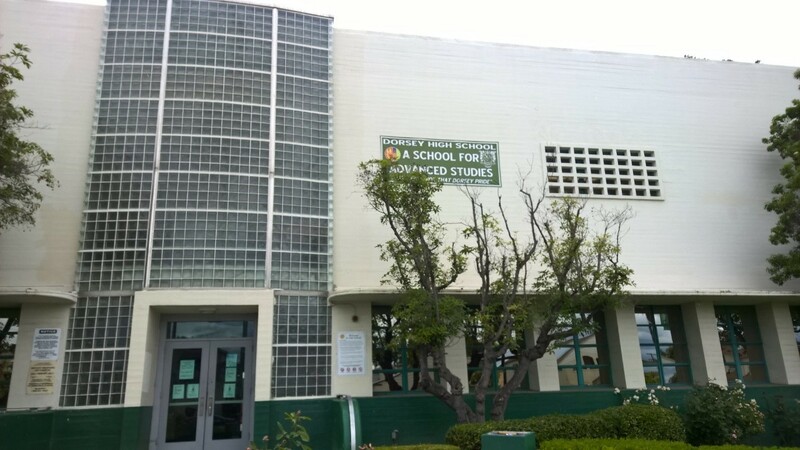 At Dorsey High School, Bradford developed and designed the Math and Science Magnet’s AP Computer Science pathway, the first APCS pathway in South Los Angeles. The “Coding with STEAM” (Science Technology Engineering Arts and Math) focus of the pathway has filled the Math and Science Magnet Academy to full student capacity. The school is in its first full year of its coding program and as interest grows, so does the waiting list for the Math and Science Magnet Academy and Bradford’s Summer Bridge Computer Science program, sponsored by Mother Of Many. Daphne and Microsoft Innovator Experts Mr. Richard Kushon and Mrs. Johonna Gay use Microsoft’s TouchDevelop for coding of apps and games to solve challenges. The freshmen students design, develop a digital artifact and plan the messaging, marketing and business systems which would be required to take these to market. In a sense the message here isn’t just to prepare to students to ‘get a job’ but also to create a job. Daphne notes the TouchDevelop environment automatically engages the students in dealing with Cloud Computing and the Office365 ecosystem. Used as an Intro to programming and coding, TouchDevelop prepares students for AP Computer Science. 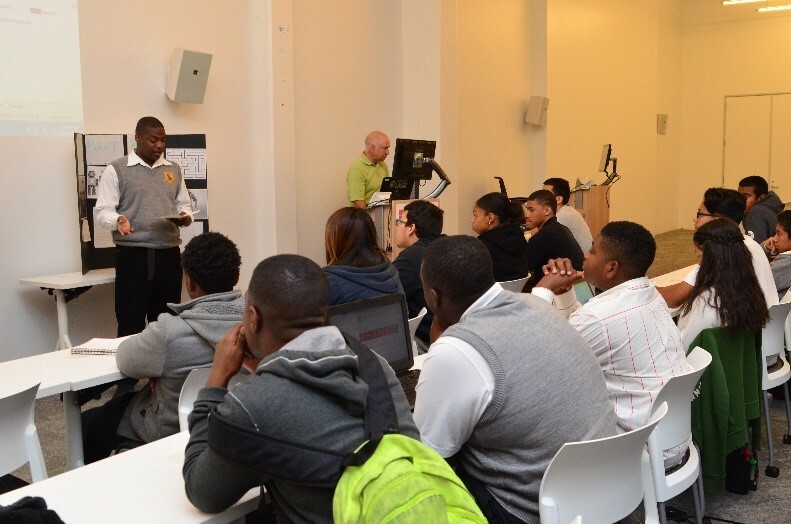 The goal of the Coding with STEAM Game Design and App Development Competition is to promote the importance of Computer Science as a core high school requirement vs. elective and expose students to the various Science, Technology, Engineering, Arts, and Math college and career pathways. Students not only solve real-world challenges through coding but also have the opportunity to share their practice, skills and reference their capability at Mother Of Many’s annual Coding with STEAM Competition in Southern LA, held recently at the Microsoft Play Vista in Los Angeles. 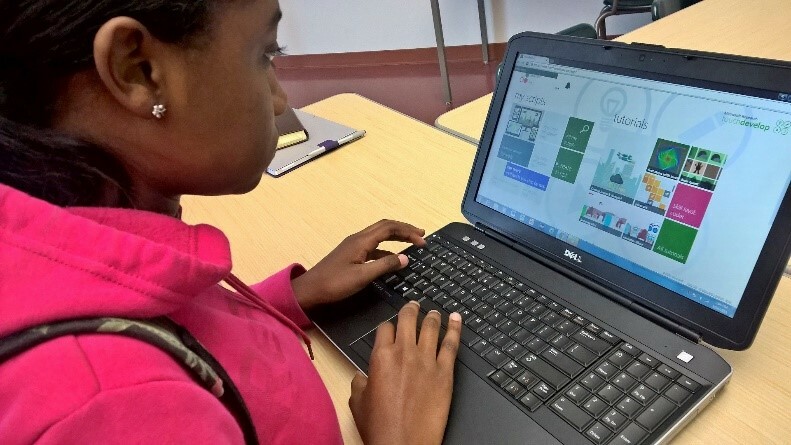 Other initiatives include the CODING WITH STEAM THURSDAY’S which connects college students back with the feeder high schools in the role of coaches for high school students. The college fellows receive a stipend which is used to support their college pathway and it was noted that this ‘giving back’ activity provides very positive pro-social modeling for the current high students who are able to engage with past-scholars and alumni who have followed a college pathway. Dorsey High School is a school that maintains its identity and traditions but is also redefining the success criteria for its learners to ensure that by the end of high school they are college ready and career ready. The students are provided multiple pathways to success to pursue study which is clearly aligned to the world of work and technologies which are the tools to build possibilities.